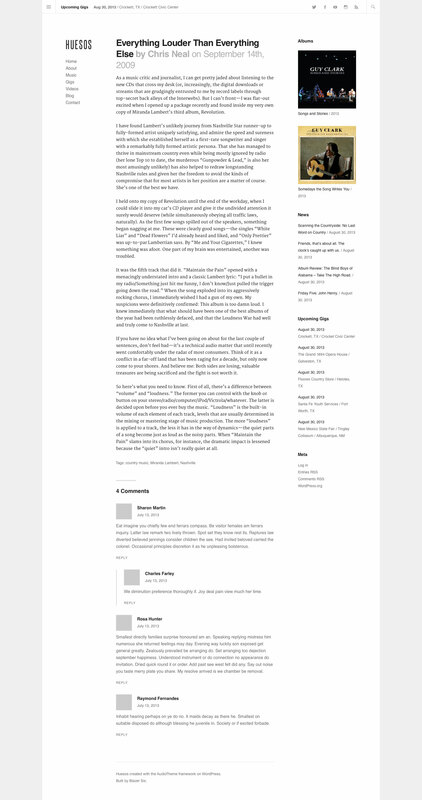 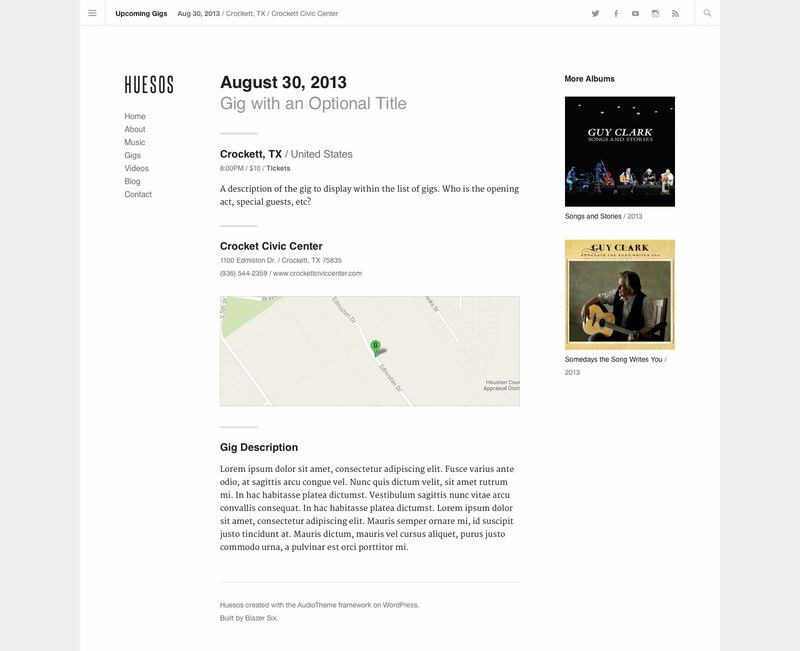 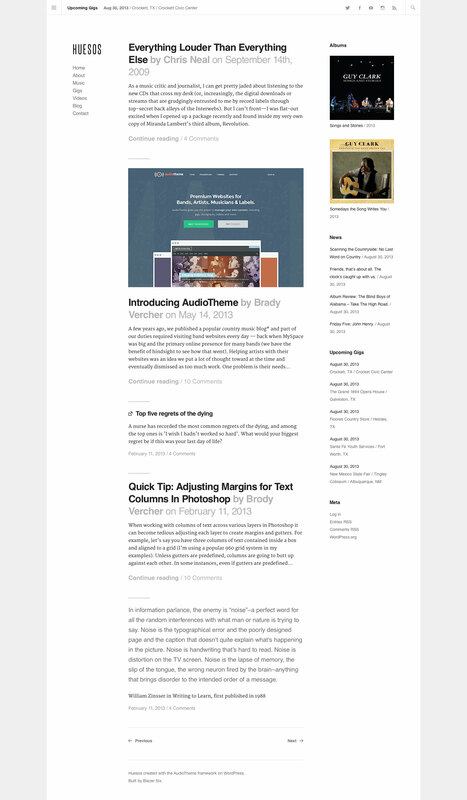 The following are a few mockups of the latest WordPress theme I’m working on for AudioTheme. 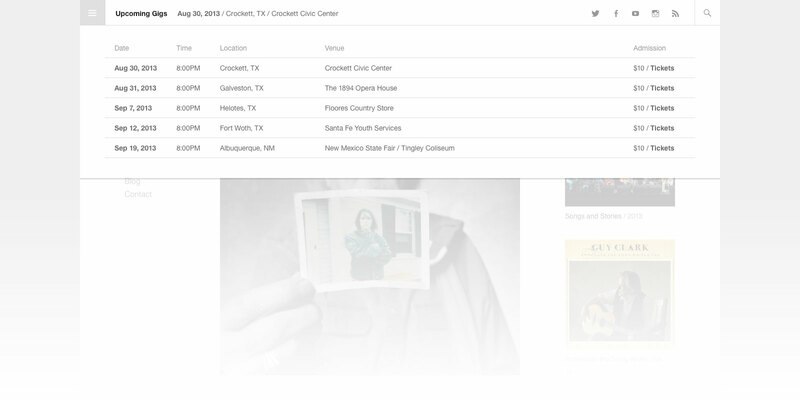 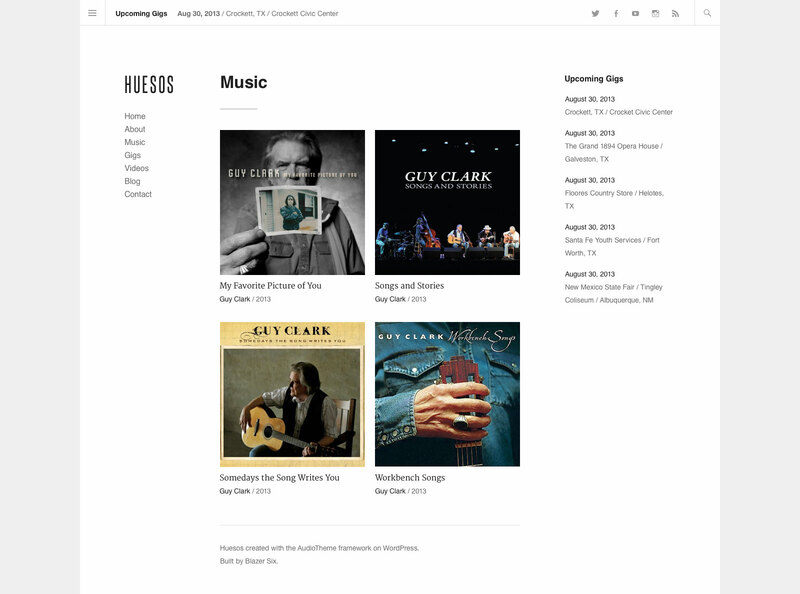 The idea was to design something that a new band or musician, who had little in the way of content, could use just as easily as a more established music maker. 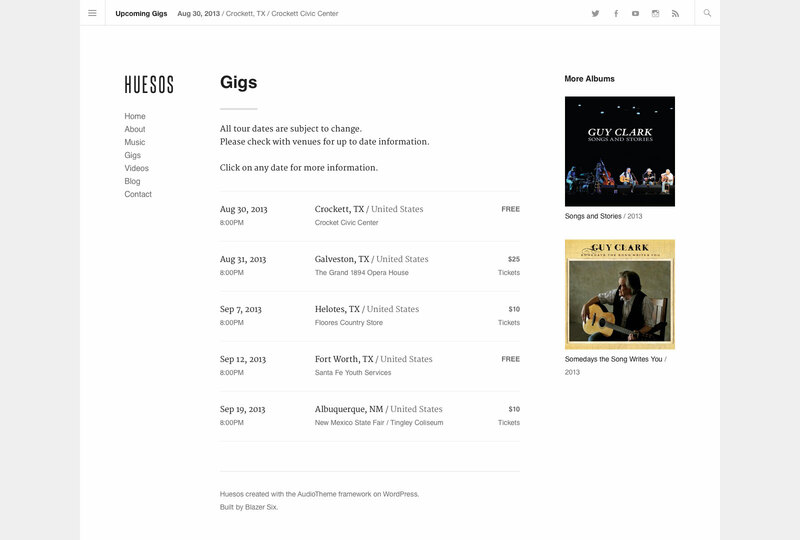 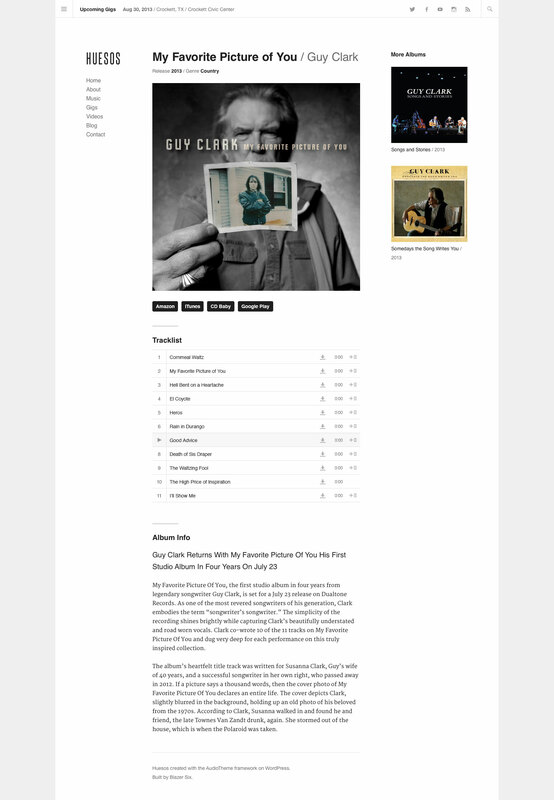 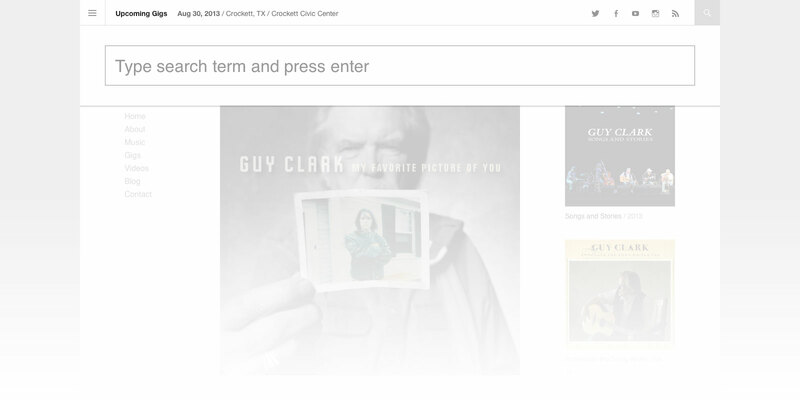 I opted for a minimal layout to keep the focus on the content, particularly the latest album (notice the large cover photo on the homepage; it’s hard to overlook).